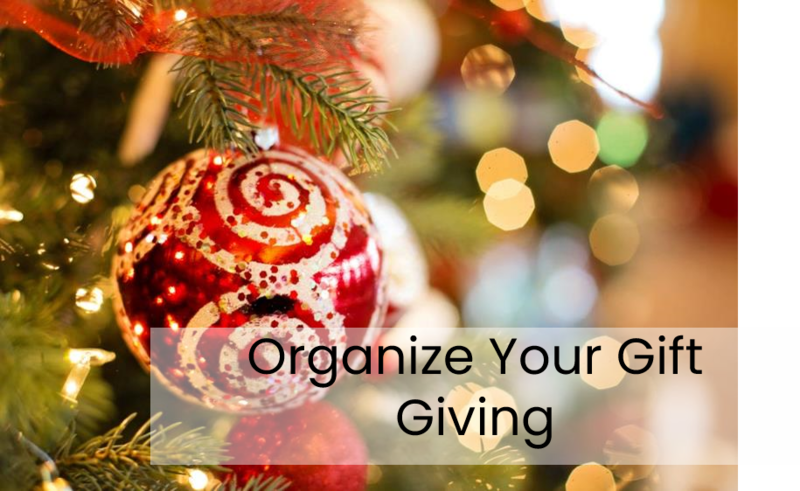 Have you ever taken the time to organize your gift giving? For many people holiday shopping is a frenzied, chaotic experience that perpetuates stress and often debt. But it doesn’t have to be that way. Gift giving can and should be fun and fulfilling. For this to be the case all that is needed is a little advance planning. Check out these tips for a more organized (and enjoyable) gift giving experience. The first step to organize your gift giving is to determine who you’ll be giving gifts! Don’t feel obligated to purchase gifts for everyone you associate with. Focus on those people who mean the most to you or whom you wish to recognize in some way. A good way to avoid overspending during the holidays is to shop year round. With your handy list of gift ideas, you can always be on the lookout for the perfect gift. Year round shopping has a number of benefits. 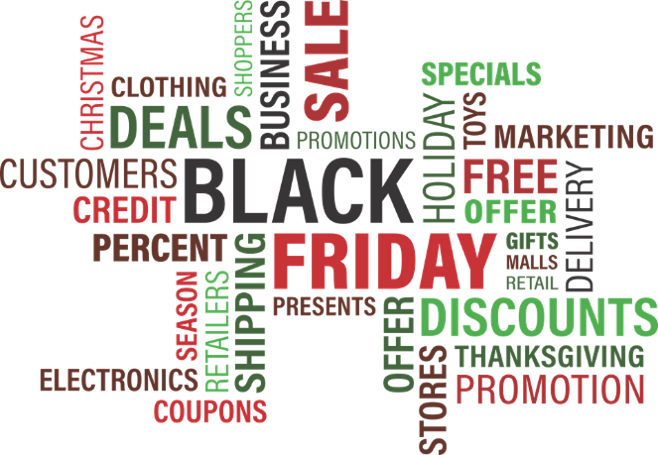 It saves money – Take advantage of sales and clearances, allow time to shop for the best price, and avoid last minute pressure purchases. It reduces stress – Avoid holiday crowds and have time to relax during the holiday season knowing that your shopping is done. The retail industry is delightfully predictable. When there is a holiday, there is a sale. Armed with this knowledge, you can plan ahead for big savings by combining offers. Start by signing up to receive coupons via email or text from your favorite retailers, or (if you don't like having your inbox overwhelmed) search sites like RetailMeNot for online coupons when you're ready to shop. Use your coupons to increase your savings when you shop the sales. ​To increase your savings even more, sign up for Ebates and get cash back rewards for shopping at your favorite stores. Using this method, we were able to get my husband not one, but three nice new suits from Men's Wearhouse last Father's Day for $200 and earn $16 cash back on the purchase from Ebates! Record keeping is an important part of organizing your gift giving. Keeping records can help you stick to a budget, keep track of purchases, maintain a list of gift ideas, remember where you hid things, and prevent you from purchasing duplicates. ​Below you'll find some holiday printables I've created to help me organize my gift giving, along with instructions on how to use them. I hope you find them useful as well. ​I like this chart because it allows me to see all the pertinent information relating to my gift giving at a glance. Use the Ideas column to keep track of inspiration. I find myself making notes in this column year round. If I visit the home of someone on my list and notice something they need, I jot it down as a potential future gift. When someone on my list says “I really want a…” or “I wish I had a…” or anything else along those lines, I write it down in the idea column next to their name. This practice saves me a lot of time and effort when gift giving occasions arise because I usually have a supply of ideas to choose from. The Have column is where you keep track of purchases you’ve already made. I find this helps prevent duplicate purchases, especially if you are in the habit of shopping early and stashing things away. Use the Need column to derive your shopping list. As I acquire the needed items, I transfer them to the Have column. It makes it easy to see at a glance how my shopping is progressing and how much I still have to do. This chart is designed to keep track of clothing/shoe sizes for the people on your shopping list. As a special bonus, I've created the Gift Giving Inspiration worksheet which I've added to the free printables packet. This page is designed to be beneficial year round. Use it to keep track of people's interests in addition to their wants, needs, and sizes. Knowing what friends and family are into can help you select the perfect gift for any gift-giving occasion throughout the year. For more information on decluttering your holidays and organizing your gift giving click on the icons below.